Stuck for a stocking filler or secret santa gift for the fitness lover in your life? Help is at hand with our gift guide. For the 6am gym-goer, the meal-prep marvel or the marathon runner, these books will make perfect stocking fillers to help them achieve their fitness goals in 2018. 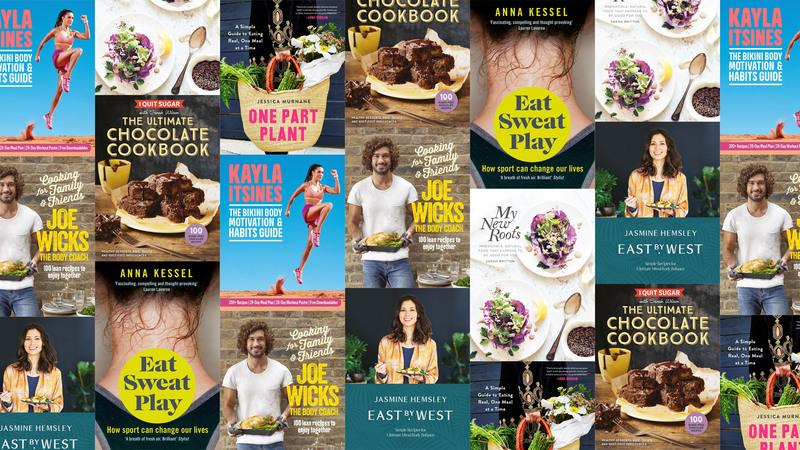 The essential gift for the health conscious foodie, Cooking for Family and Friends features 100 more amazing recipes from Joe Wicks, aka The Body Coach. Packed with lean and healthy post-workout dishes, family feasts and a few naughty treats, Joe's fourth cookbook is a great gift for anyone who likes getting creative in the kitchen but still keeping lean. Jessica Murnane’s One Part Plant has no diet plan or anxiety-inducing list of forbidden foods. Instead, it simply asks that you eat one plant based meal per day, and with 100 delicious, simple and healthy vegetarian recipes, it’s a lot easier than you might think. A great addition to the bookshelf of any vegetarian and vegan. With an 8 million strong army of Instagram followers, Kayla Istines is one of the world's top fitness influencers. Kayla's new book, The Bikini Body Motivation & Habits Guide is packed with recipes, workouts, shopping lists and meal plans which will help the fitness fanatic in your life start their 2018 resolutions right. In her first solo cookbook wellness and nutrition expert Jasmine Hemsley champions the ancient Ayurvedic philosophy of eating to nourish, sustain and repair for ultimate mind-body balance. Packed with 140 delicious and simple recipes from around the world, East by West would make a great gift for a health-conscious foodie friend. A treat for health-conscious chocoholics everywhere, in her latest cookbook Sarah Wilson shares how to make 100 delicious healthier chocolate treats for any occasion, from special breakfasts to show-stopping sugar-free cakes and bakes. Creator of the hugely popular blog My New Roots, Sarah Britton’s first cookbook is full of simple and mouth-watering vegetarian recipes and will make a welcome addition to the bookshelves of the mindfully meat-free foodies in your life.